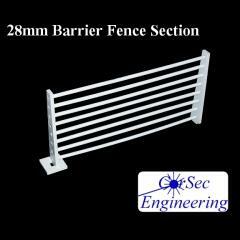 This 85mm tall fence section works great with 28/25mm scale miniatures. Modular design! Mix and Match for a unique table.